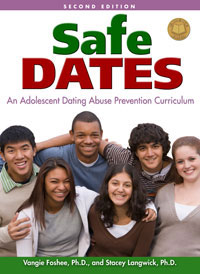 Safe Dates®, an evidenced-based program designed to help teens recognize the difference between caring, supportive relationships and controlling, manipulative, or abusive dating relationships. Designated as a Model Program by the Substance Abuse and Mental Health Services Administration. In 2006, Safe Dates was selected for the National Registry of Evidence-based Programs and Practices (NREPP), and received high ratings on all criteria. Regionally, this program is provided by Crisis Shelter of Lawrence County, Alice Paul House in Indiana County, and Havin of Armstrong County.